Banff Table Model : BANFODTL $233.00 Sale Price Mix & match create your own look from our wide selection of tables and accent dining chairs. 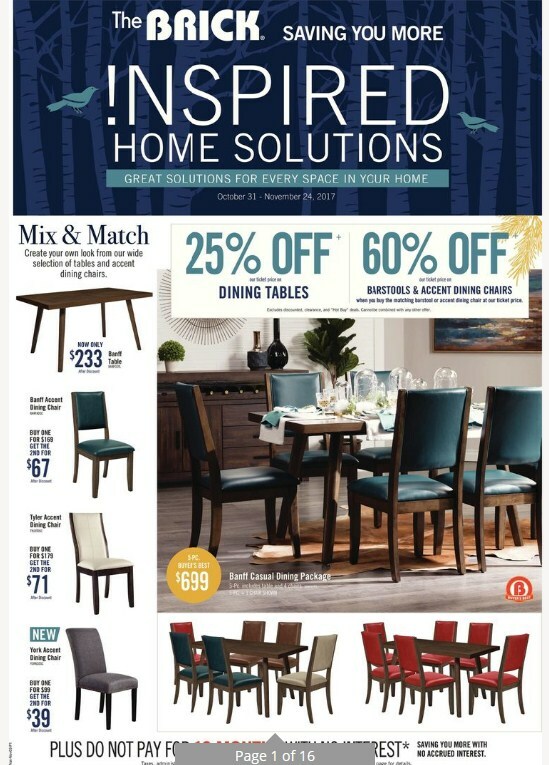 Banff Accent Dining Chair Model : BANFADSC $169.00 Sale Price Buy one for $169.00 get the 2nd for $67.00.Tyler Accent Dining Chair Model : TYLRTDSC $179.00 Sale Price Buy one for $179.00 get the 2nd for $71.00.Banff Casual Dining Package Model : BANFADP5 $699.00 Sale Price 5-pc. buyer's best. 5-Pc.includes table and 4 chairs. 5-pc. + 1 chair shown. 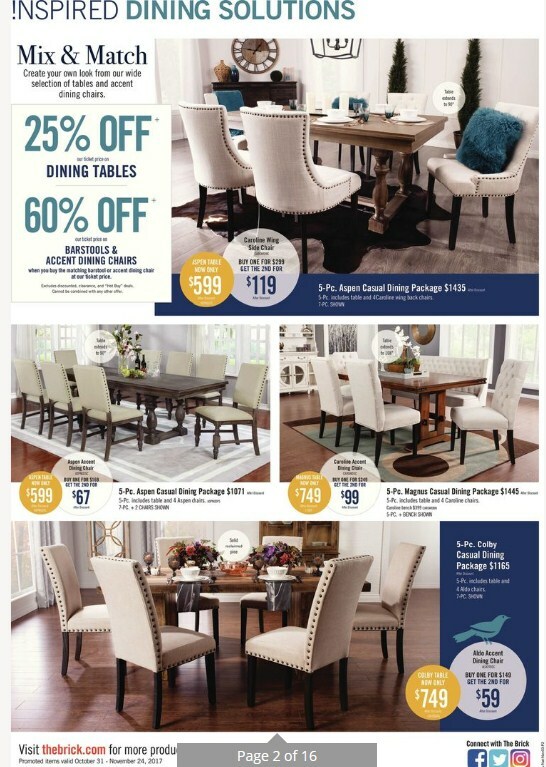 B buyer's best.Bar stools & Accent Dining Chairs 60% Savings Our ticket price on barstools & accent dining chairs. When you buy the matching barstool or accent dining chair at our ticket price. 5-Pc. Aspen Casual Dining Package $1435.00 Sale Price 5-pc. includes table and 4 caroline wing back chairs. 7-pc shown.Dining Tables 25% Savings Our ticket price on dining tables. 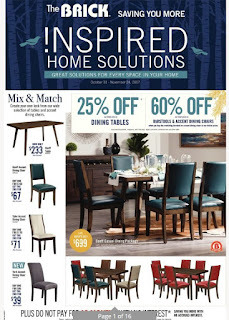 Barstools & Accent Dining Chairs 60% Savings Our ticket price on barstools & accent dining chairs. When you buy the matching barstool or accent dining chair at our ticket price. 5-Pc. Aspen Casual Dining Package Model : ASPNGDP5 $1071.00 Sale Price Table extends to 90". 5-pc includes table and 4 aspen chairs. 7-pc. + 2 chairs shown. 5-Pc Magus Casual Dining Package Model : CAROWDBN $1445.00 Sale Price Table extends to 108". 5-pc. includes table and 4 caroline chairs. Caroline bench $399.00. 5-pc. + bench shown. 5-Pc. Colby Casual Dining Package $1165.00 Sale Price 5-pc. includes table and 4 aldo chairs. 7-pc. shown. Aldo Accent Dining Chair Model : ALDOTDSC $149.00 Sale Price Buy one for $149.00 get the 2nd for $59.00. 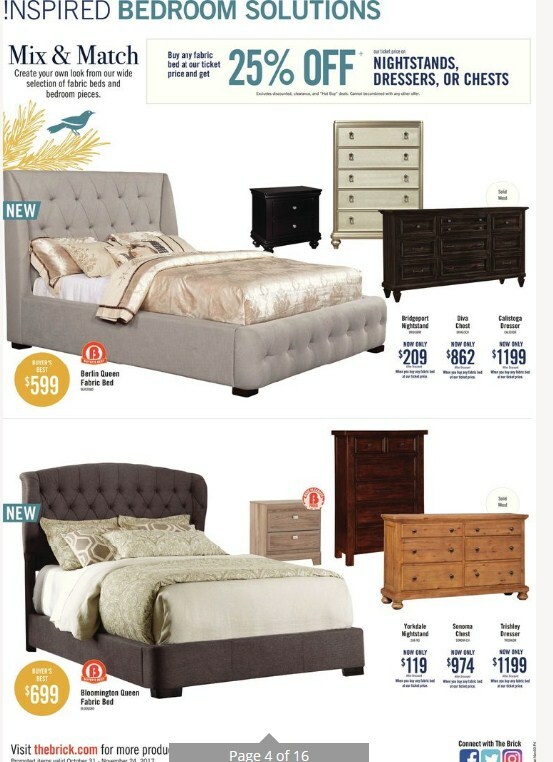 Nightstands, Dressers, or Chests 25% Savings Buy and fabric bed at our ticket price and get 25% off. 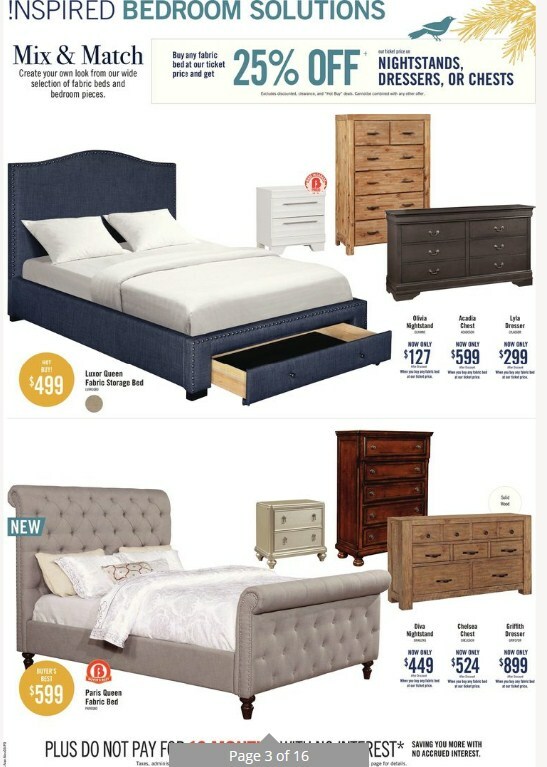 Our ticket price on nightstands, dressers, or chests. Paris Queen Fabric Bed Model : PARISQBD $599.00 Sale Price B buyer's best. Griffith Dresser Model : GROFP7DR $899.00 Sale Price Solid wood. When you buy any fabric bed at our ticket price. Nightstands, Dressers, or Chests 25% Savings Our ticket price on. Buy any fabric bed at our ticket price and get. Excludes discounted, clearance, and "hot buy" deals. Cannot be combined with any other offer. Berlin Queen Fabric Bed Model : BERLTQBD $599.00 Sale Price Make getting out of bed each morning even more of a challenge with this Berlin queen bed. Calistoga Dresser Model : CALIG9DR $1199.00 Sale Price When you buy any fabric bed at our ticket price. Bloomington Queen Fabric Bed Model : BLOOQGBD $699.00 Sale Price The Brick Flyer Snuggle up in style on this Bloomington queen bed. Trishley Dresser Model : TRISH6DR $1199.00 Sale Price When you buy any fabric bed at our ticket price. 71" Lovran TV Stand Model : LOV71TVS $199.00 Sale Price If you love the look of contrasting colours, this Lovran TV stand is sure to be your match. 47" Wilson TV Stand Model : WIL47TVS $249.00 Sale Price Create a stylish and suave setting for your flat-screen with this Wilson TV stand.2-Pc. Quantico Entertainment Centre Model : QUANTENT $699.00 Sale Price 60" TV opening.